Sarah and Kevin were married in Texas but didn’t feel like they had enough time on their wedding day to get all the shots they wanted in their wedding attire. They contacted me shortly before leaving for Maui on their honeymoon about booking a session. They said they wanted to do something fun and adventurous and I knew just the spot to take them. 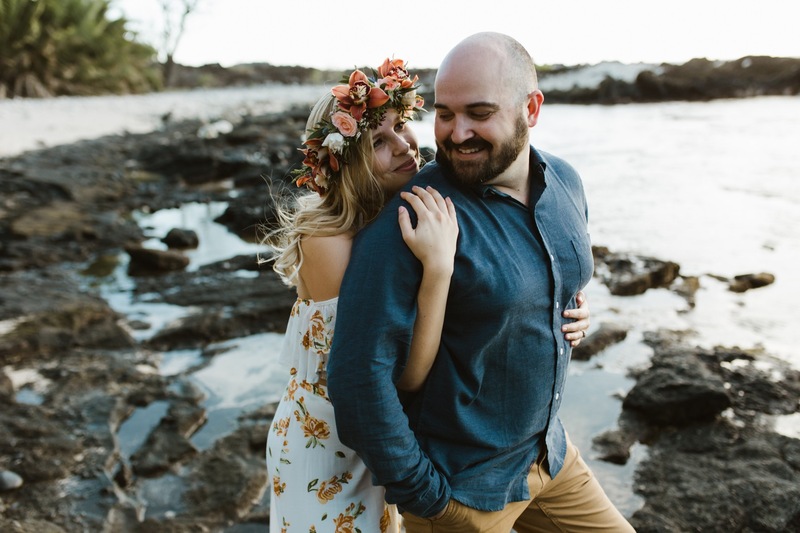 We met in the parking lot at the very end of the road on the South side of the island and hiked out across lava fields from Maui’s last volcanic eruption. Sarah and Kevin started off the session in their “street clothes” and then literally changed into their wedding dress and suit behind some rocks. We had the most epic sunset and views and these two had me cracking up the whole time. Just after the sun set we started the hike back and were able to get a couple of awesome silhouette shots along the way.